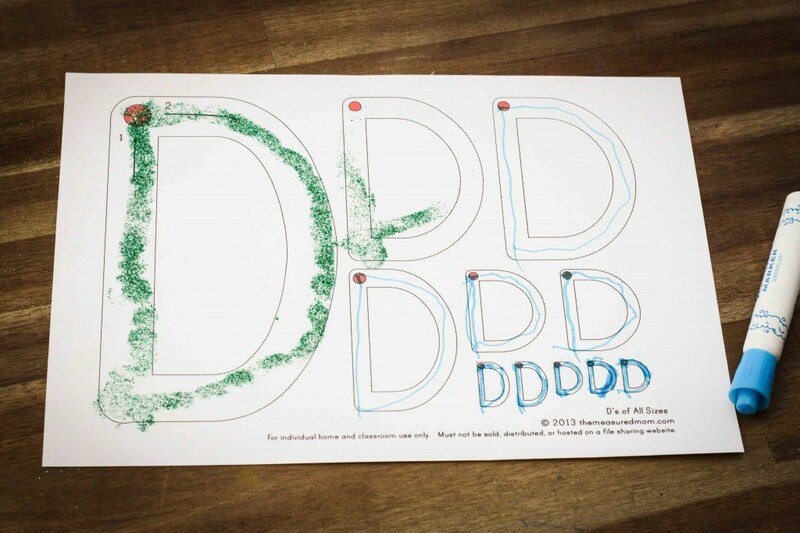 Preschool Letter D was a tricky one for us! We started out just great, but on day 2, Filip noticed it; yep, he realised that letter b and letter d “look the same”, as he put it. But, before I get on to talking about that, let’s start with Day 1 and what we did! 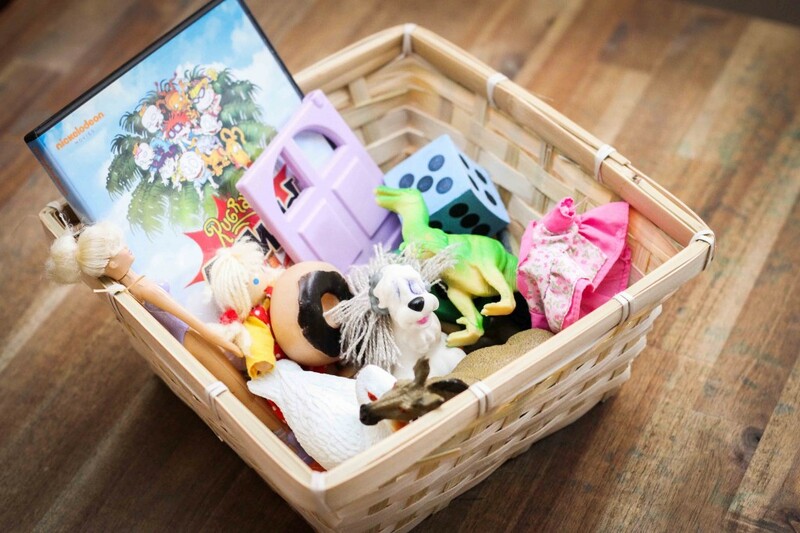 We started off with our beginning sounds basket. Filip took out each item and named them, emphasizing the “d-d-d” sound at the start. 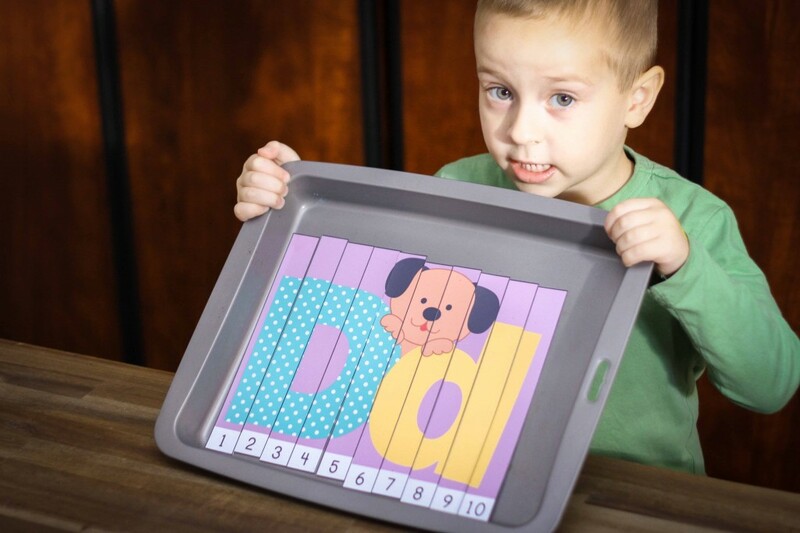 After naming the items, and noticing that DVD starts AND ends with d, we moved on and Filip practiced forming the letter D on our Alphabet Play Dough Mat. And then tracing, using our whiteboard markers. This continues to be a favourite for my little man! 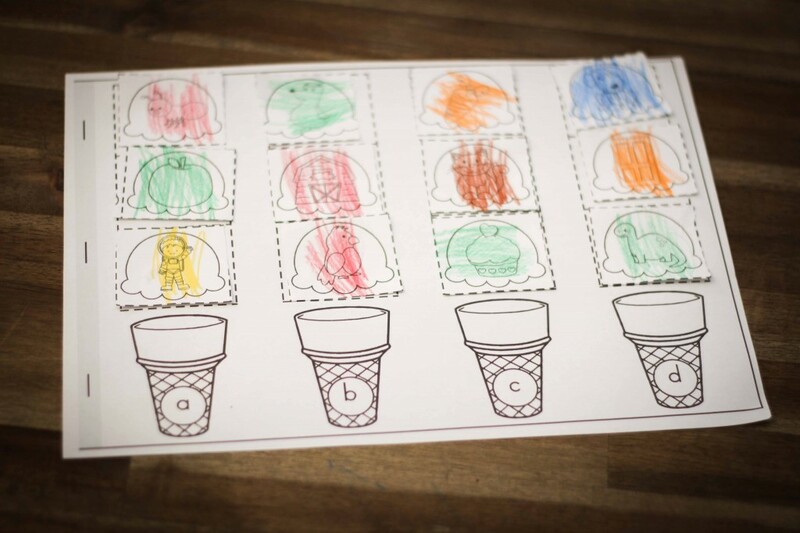 I bought the following worksheets last year to use with my daughter, but we did not get around to using them! 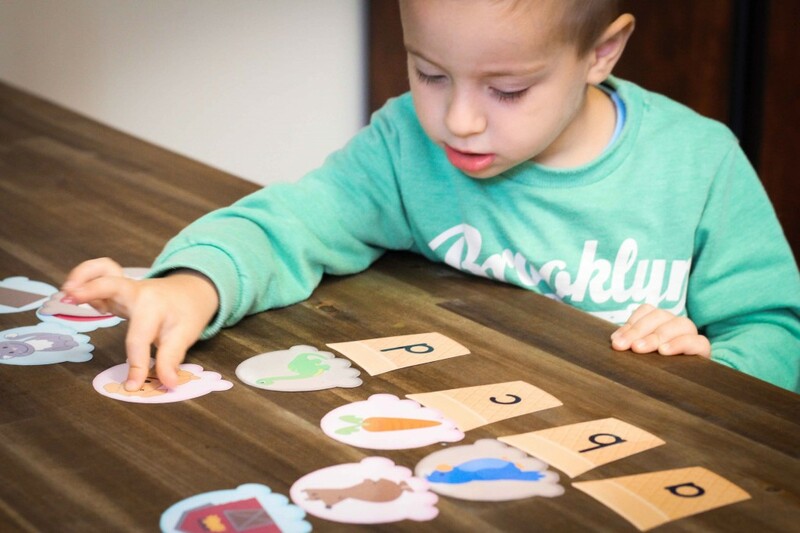 However, I thought Filip could use a change to the usual letter recognition worksheets we did, so we used these worksheets with some stickers! And here he is with the completed page! If you’d like a copy of them, they are available in Dawn’s store on TpT right here! 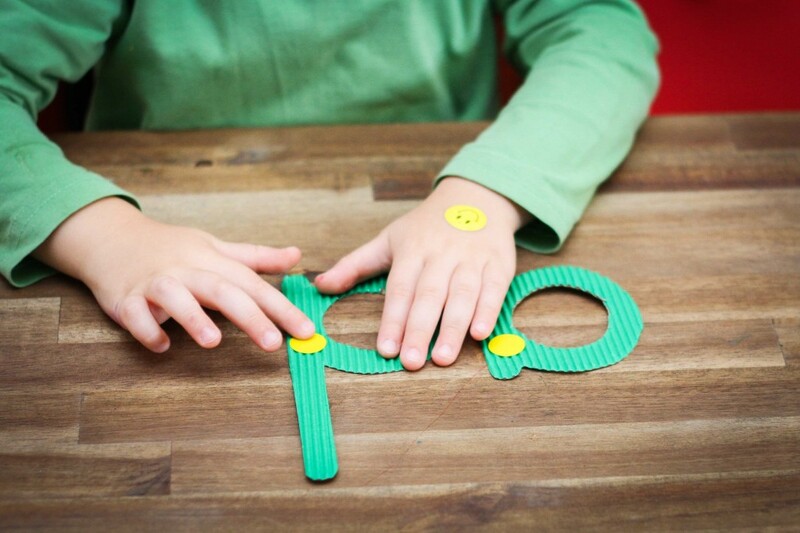 We then did our preschool Letter of the Week Craft, which is always lots of fun! 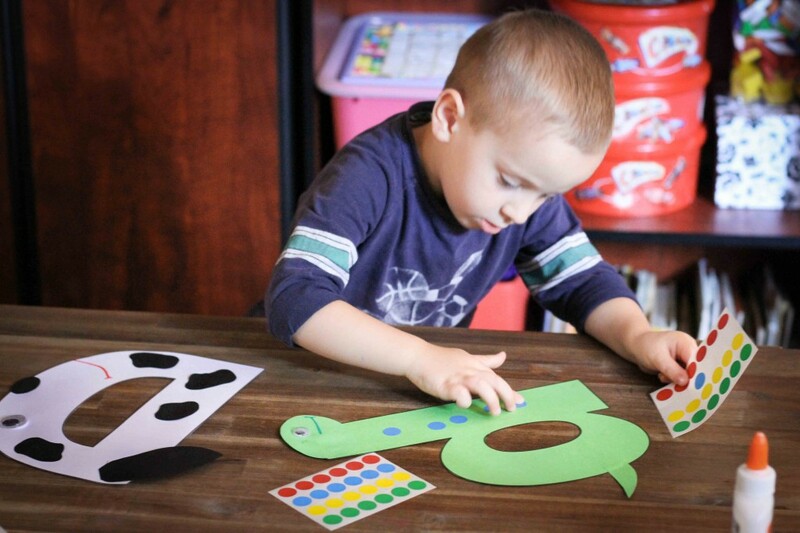 Here is a photo of Filip putting some dotty stickers on the dinosaur. 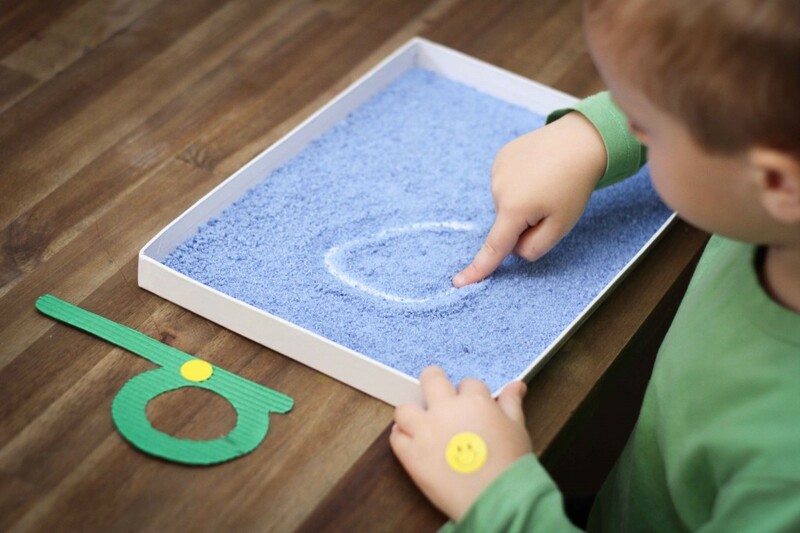 We finished the first day with the Alphabet Find It sensory game. We started Day 2 with out Ice Cream beginning sounds sort. And that’s when IT happened. He noticed that “b” and “d” look the same. No, they don’t sound the same, but they sure look the same and this puzzled my little one. We finished sorting out the pictures. 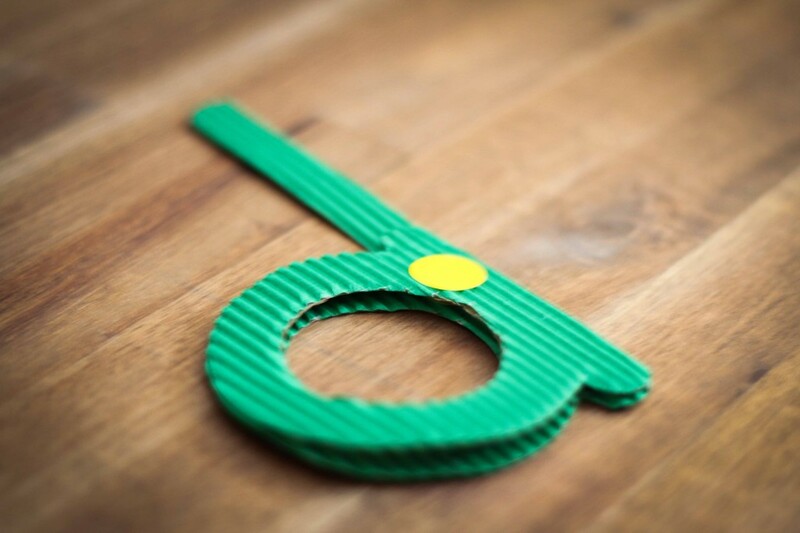 I found some corrugated paper and, using the templates located at the end of my Alphabet Play Dough Mat unit, I cut out letters a, b, c and d. I used green for “a” and “d”, and different colours for the other letters. I placed some starting dots on them and asked Filip to trace over each of the letters. 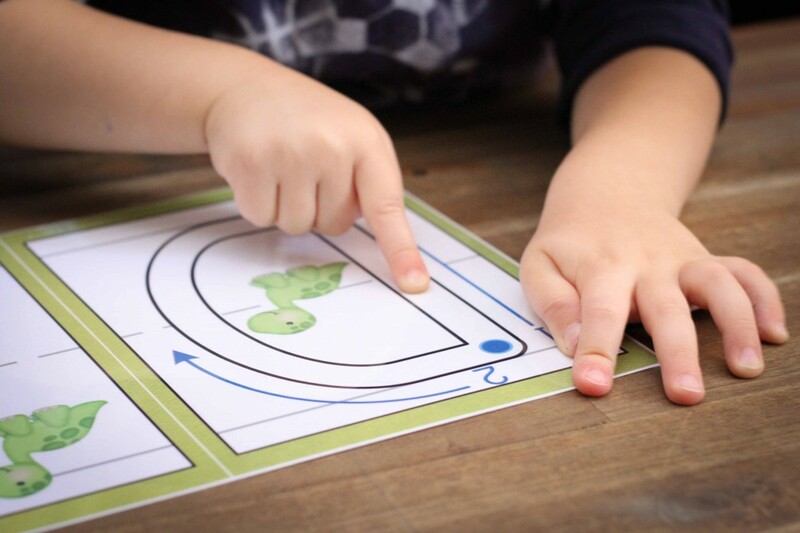 We talked about how “b” started with a smooth going down sensation on his finger, and how “a” and “d” started out bumpy and by going around, instead of straight down. I then put the “a” on top of the “d” and that’s when it really clicked inside my little preschooler’s mind that “little a is in little d”! 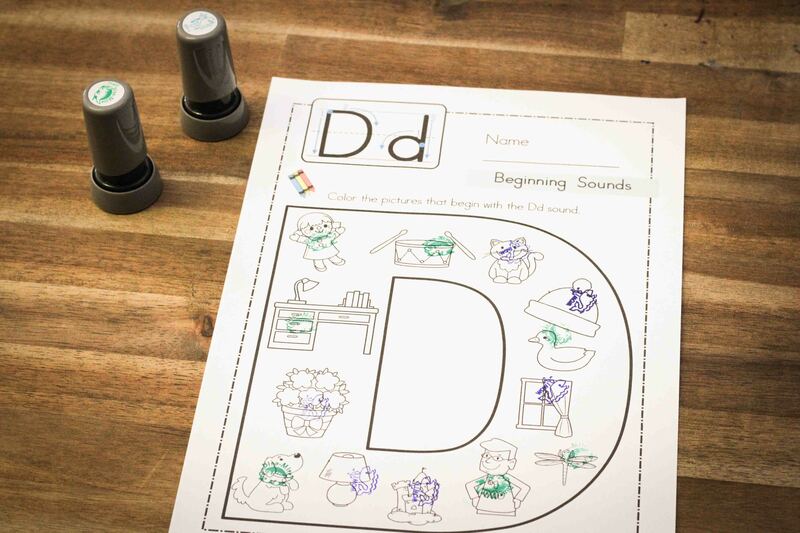 We moved on and did our beginning sounds worksheet. 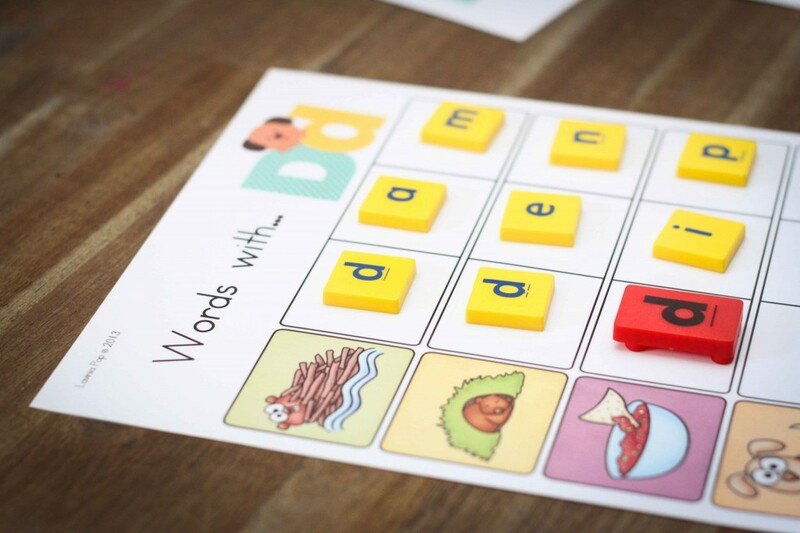 My daughter is in Prep (Kindergarten) and because she is already reading, we do a lot of CVC word building activities after school when she asks for extra work. This week Filip insisted on doing “Cami’s work”, so we borrowed her activity and gave it a try. 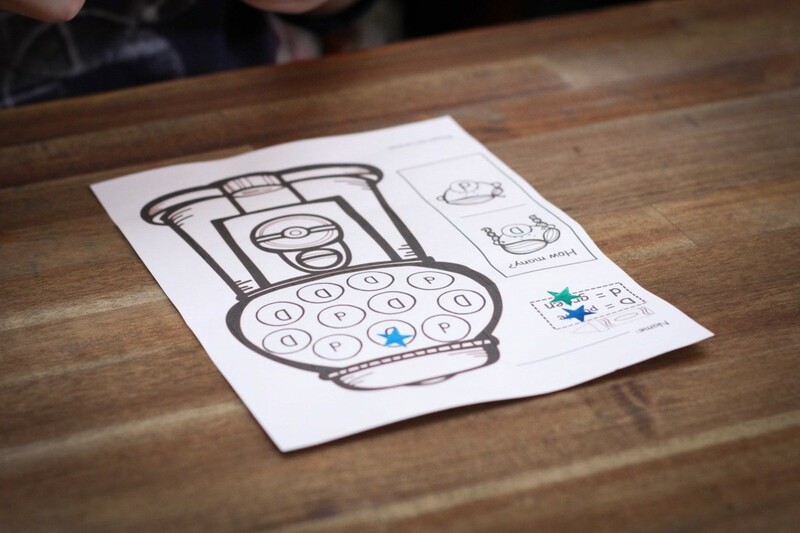 This is way beyond Filip’s capabilities to work on individually, but he really did enjoy it! We used the answer cards as a guide and he built the words using that, instead of trying to figure them out on his own. 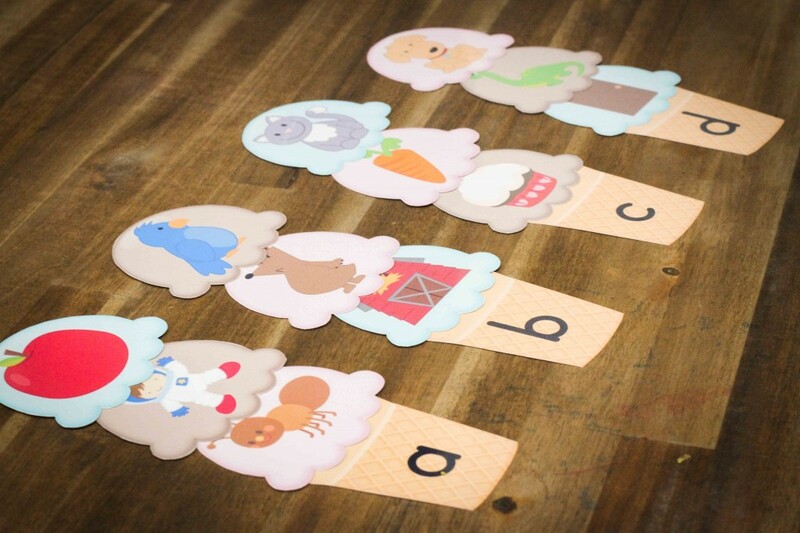 If this is something you might like to try, you can download a sample from my TpT store here! 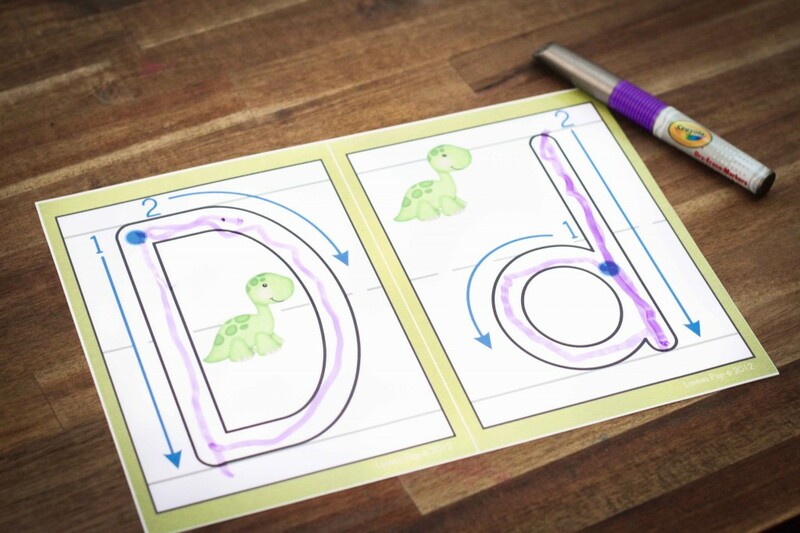 Filip did some more uppercase letter D tracing using the printables from The Measured Mom. And we finished the day off with a pre-writing practice sheet (From the Pond). 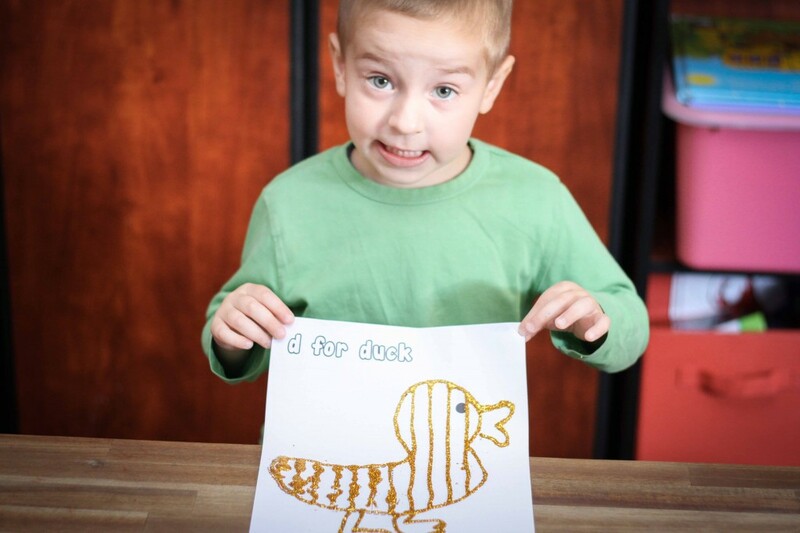 … and lowercase d! 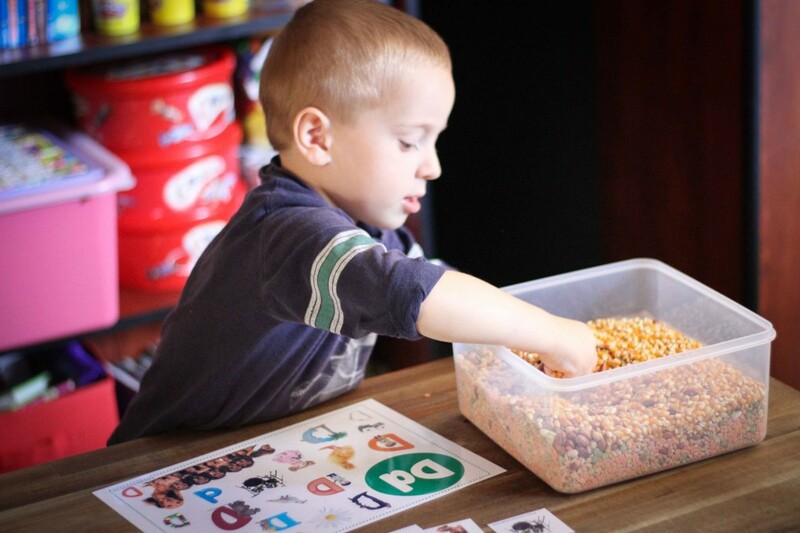 He LOVED this activity! 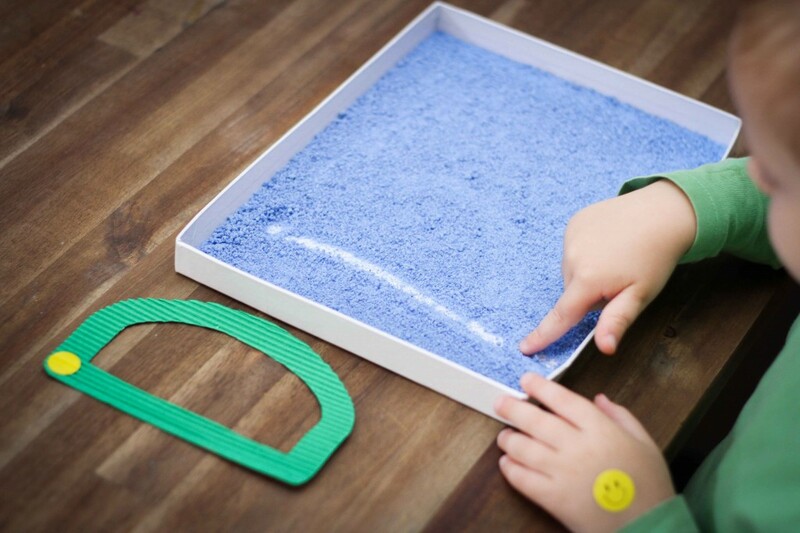 Highly recommend this as it is great for kinesthetic learners! 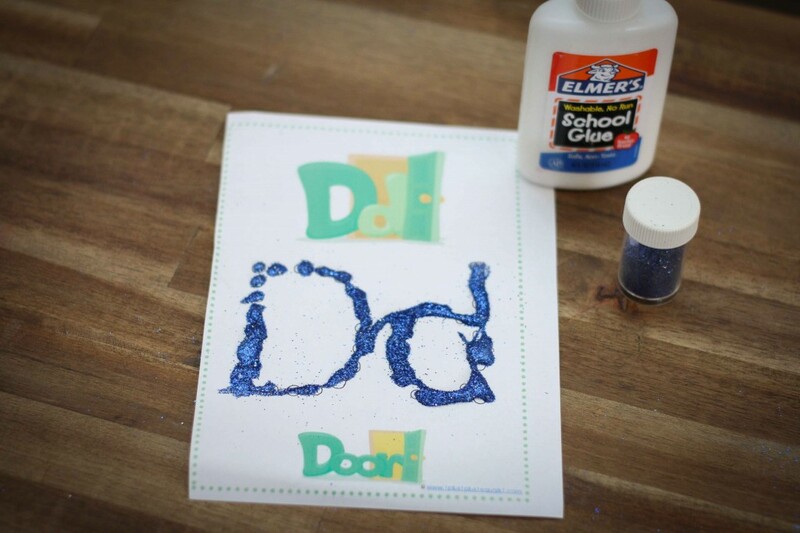 We did our Q-Tip Letter d with some glue and glitter this week. 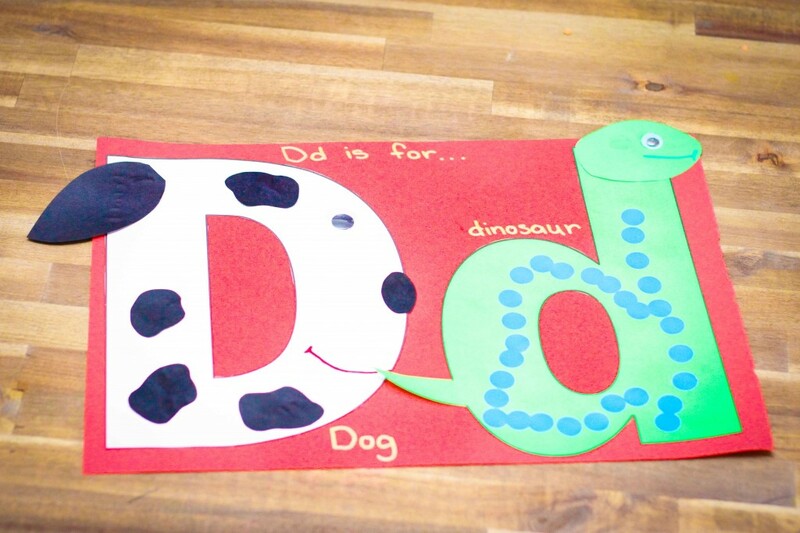 We also did the letter D Alphabet Counting Mat. And we finished with our booklet for the week! David had a dentist appointment on this particular day and stayed home from school. 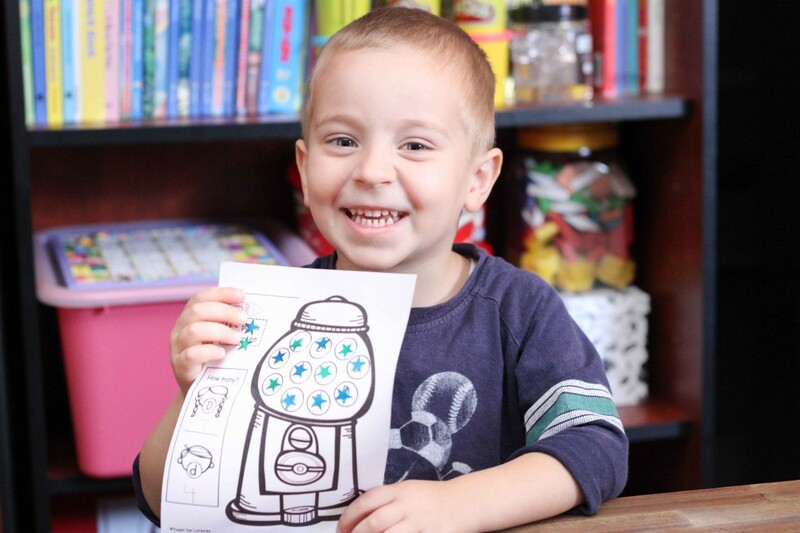 While we were doing our Preschool Letter of the Week, he got busy looking up craft ideas on my Pinterest Boards. 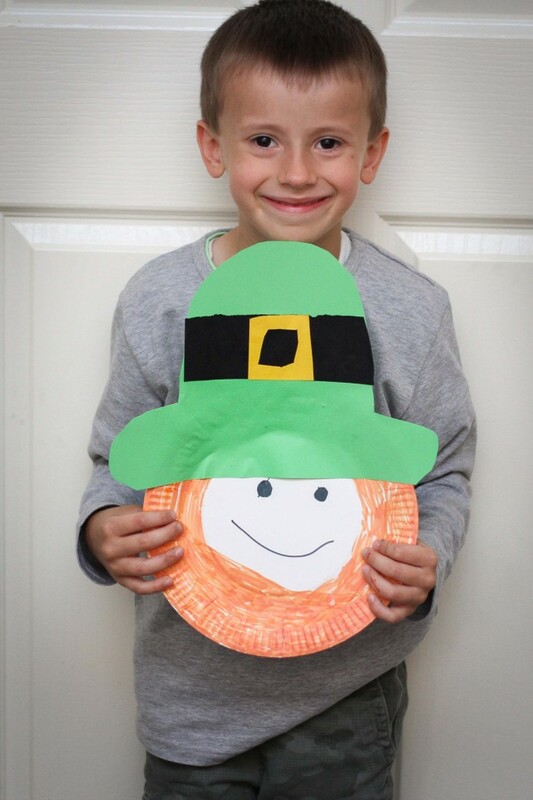 He found this cute leprechaun craft made from a paper plate which he duplicated. You are a genius! I’m going to use that little a on top of little d idea! Quick question: When do you teach capital letters to Filip? My son’s preschool uses Zoo-Phonics and Jolly Phonics, and he is solely taught lowercase letters. I was told this is because most of the text in books are written in lowercase. 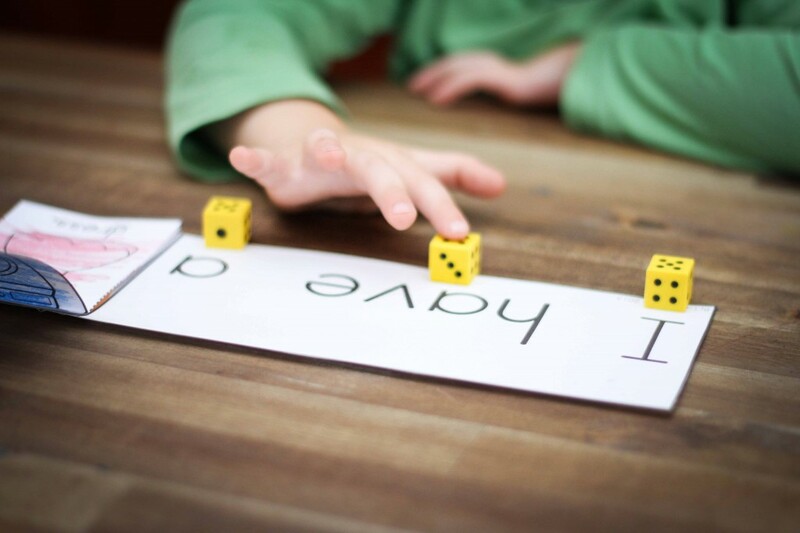 I have heard from other parents that their kids are being taught only lowercase for the same reason… I think, however, that at some point during the school year kids will also be taught the capital letters, but perhaps less formally and through matching games and other similar activities. How much fun your little boy is having :). Thank you for sharing your ideas, I love them!! Love this. I have been using this conversation wirh my classroom of threes for quite a while to help with letter recognition and writing skills. It also helps with learning left and right. 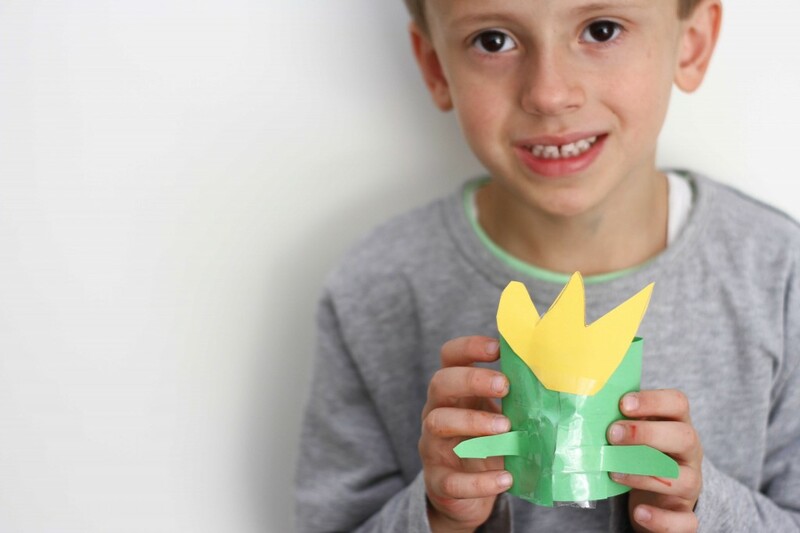 love the dinosaur and dog craft. do you share the template somewhere? can’t seem to find it. 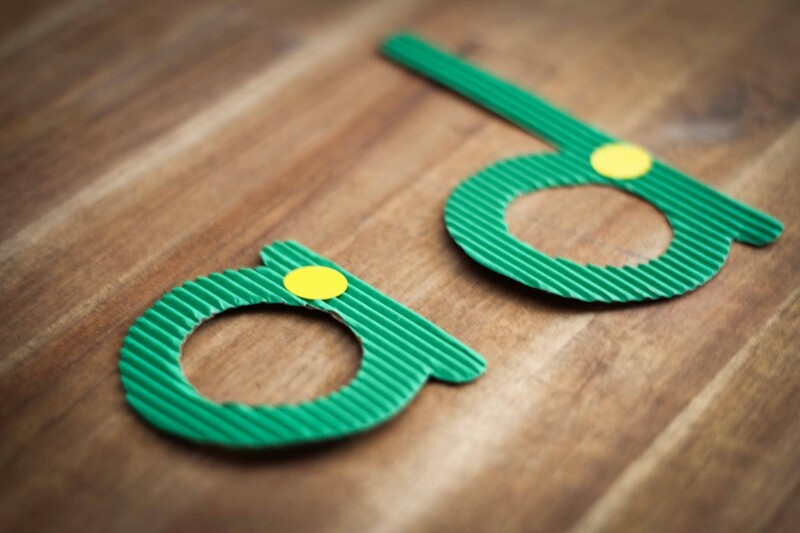 I’m sorry, I don’t have the animal templates – only the letter templates I used to make them. I loved your ideas. Thank you so much for sharing. I am a special education teacher and found this information extremely helpful.